The Greek mainland and various islands are scattered throughout the Aegean and Ionian Seas. Tempting visitors back to villas in Greece with the perfect climate and buetiful landscapes of olive-clad hills, beaches, secluded coves and turquoise seas. 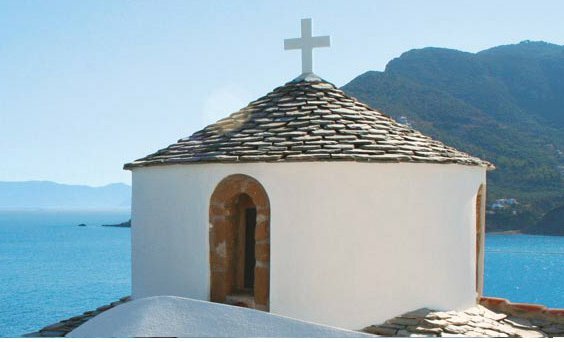 The Greek Islans, and indeed the mainland, have numerous historical treasures, traditional tavernas and quiet villages. A Greek villas provides you with the freedom to really enjoy all that Greece has to offer in the laid-back style of the locals. You'll find villas in most areas of Greece, including Corfu, Crete, Epirus, Ithaka, Kefalonia, Lefkas, Meganissi, Parga, Paxos, Peloponnese, Rhodes, Sivota, Skiathos, Skopelos and Zakynthos. The villas below are all indeed in Greece, all the villas are listed here - in order of the amount of people they sleep. For those looking for a smaller holiday villa, you'll find these at the top. With the larger holiday villas being further down the page. You can also find villas in France, Italy, Turkey, Spain, Portugal, Egypt, Cyprus, Croatia, Malta & Gozo, United States and Morocco.